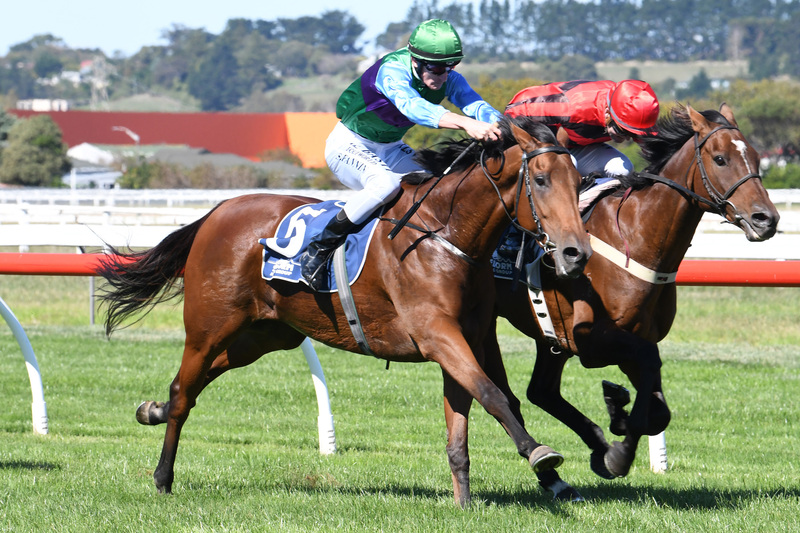 Hastings-based Paul Nelson has achieved some amazing things as an owner and trainer of thoroughbreds but he brought up a first when No Change dead-heated for a win in a jumpers’ highweight at Wanganui on Thursday of last week. Nelson and his wife Carol have owned and trained horses since the mid 1970’s and Nelson has lined up 1885 runners for 210 wins since then. To not having had a dead-heat decision in that time is quite remarkable. That is because the photo-finish technology of today can define it down to a mere pixsel when determining a margin between one horse and another. But there wasn’t even a pixsel separating No Change and Class Above at the finish of the 2050m jumpers’ highweight at Wanganui last Thursday. The two horses set down to do battle all the way up the home straight and, just when Class Above looked likely to gain the upper hand, No Change came again on the line to share the honours. Nelson was proud of No Change’s performance, given that he was conceding Class Above 6kg in the weights. “It was a pretty good effort given the weight difference,” Nelson said. The first two horses had the finish to themselves, with 2-1/4 lengths back to third placed Suffice To Say. That was No Change’s first race since he finished third in a 3100m hurdle race at Te Aroha in September last year but Nelson had been able to get him ready to win first up with weeks of strong work over the hills at his Air Hill Station property and a couple of jumpouts. Nelson said he is unsure where No Change will race next as he has to be mindful about how much weight the gelding will get in coming assignments. “He’ll go to the point-to-point at Waverley on April 23 and then might have another flat race before the Waikato Hurdles,” Nelson said. 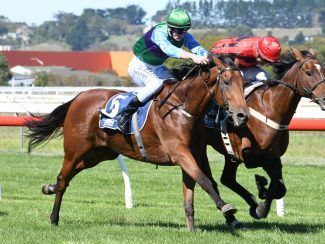 The $50,000 Waikato Hurdles (3200m) will be run at Te Rapa on May 18 and is a race Nelson won last year with The Shackler. Nelson also has his other well performed jumpers Perry Mason, The Shackler and King’s Deep gearing up for winter racing as well as two other novice jumpers in Revolution and No Tip. 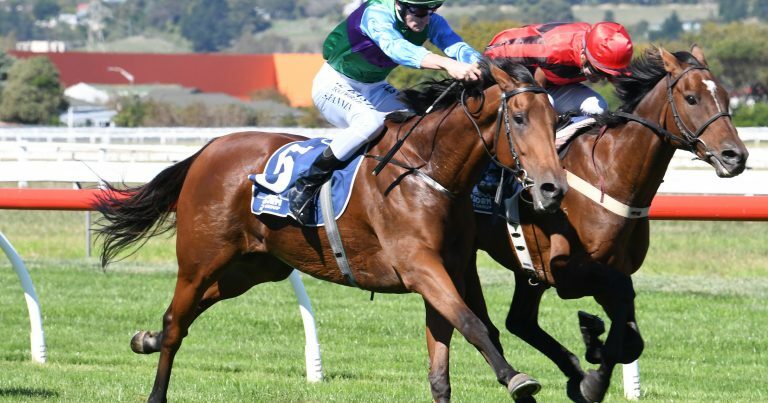 “Perry Mason will have a run at Rotorua this Friday on the flat, in a Rating 65 and jumpers race over 1950m, and will also probably have his first jumping race for the year at Waikato,” Nelson said. He added that The Shackler suffered another tendon injury when contesting the Sydenham Hurdles at Riccarton in August last year but has since been treated and has spent the last two months on a water-walker. Nelson said his star jumper Amanood Lad has been retired. The Germano 14-year-old won the Koral Steeplechase (4250m) at Riccarton at the beginning of this season but then finished only sixth of nine in the Grand National Steeplechase (5600m) a week later. Amanood Lad recorded 10 wins, 10 seconds and nine thirds from 72 starts, with his other major wins including a Great Northern Steeplechase, Wellington Steeplechase, McGregor Grant Steeples (twice) and the Pakuranga Hunt Cup.